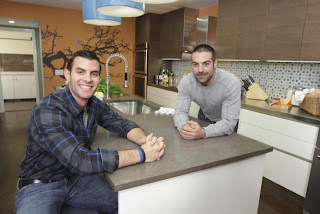 HGTV's Kitchen Cousins Wall Decal used in John's Mom's kitchen! 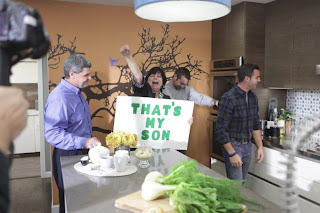 HGTV's Kitchen Cousins recently renovated John's mom's kitchen and incorporated the Branches and Blossoms Wall Decal from WALLTAT.com! Since they wanted big impact at the end wall of the kitchen, they ordered the design in Size E (99in W x 51in H) and wrapped the corner with the wall decal. Our vinyl is flexible and can easily wrap around corners and curves. Although they decided not to use the blossoms that are included with the branch design, instead they used a bird wall decal for a pop of coordinating color to match the tile back splash. The base of the "Branches and Blossoms" wall decal starts at the hallway door molding and wraps the corner into the kitchen area. Cousins John and Anthony renovate a kitchen that is close to their hearts and stomachs. 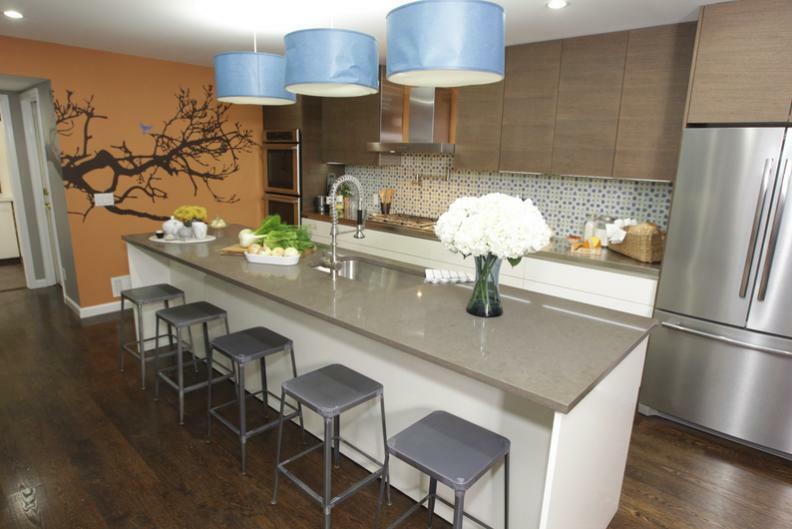 WALLTAT Branches and Blossoms wall decal design used on Kitchen Cousins. 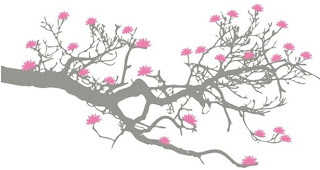 Shown above in Grey Branches with Pink Blossoms. The TV show chose the color Chocolate, Size E. Please measure your wall first before deciding on the right size for your home. 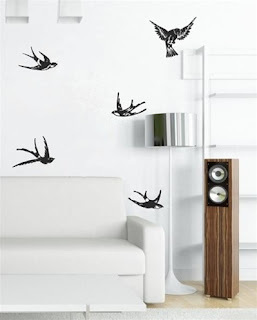 WALLTAT Birds Wall Decal 5-Pack is available in four sizes and 34 colors!